Flame Con was AMAZING! Though we've been home for a few days, we're still floating on that post-con cloud and already awaiting FlameCon 2018. This was our first convention with comic books on the table, and with the funding of Issue #2, the trend will continue! Thanks so much to everyone that stopped by to say hello! 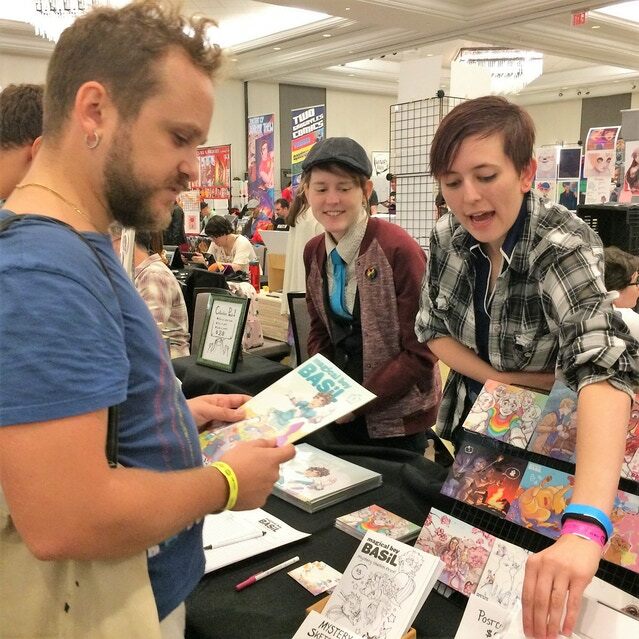 And THANK YOU to our lovely table neighbors, Tim Bush and Nicole Fieger, a couple of really great people who were new to the tabling scene. You guys handled that con like total pros. There were plenty of familiar faces as well, like our con-buddies Joven and Fabien. Seeing them is a sort of tradition Team MBB has and luckily, this year didn't disappoint. Sure it's only been a few days but next August can't come soon enough. Flame Con is definitely our favorite con in our entire circuit and we look forward to it each year, using everyday to create new products and fun ways to interact with you, our amazing readers. We really value the face time cons give us and we love getting to shake hands with our supporters. Now that Flame Con is over, it's time to settle back into our normal routine and focus on the last few days of our Kickstarter. We're nearly there!